Earlier this fall, I named pumpkin as my favorite fall flavor. I’m going to have to revise that statement. Apple has now pulled into the lead (along with its partner in crime, the cranberry), and if you don’t like or are already tired of apples and cranberries, you should probably just stop reading now. 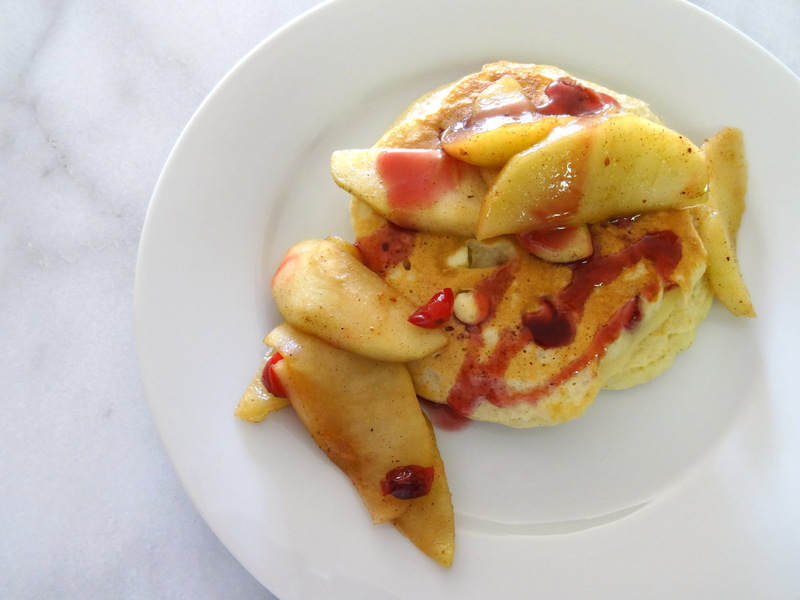 Last weekend, a strong pancake craving hit. Lo and behold, there were fresh apples and fresh cranberries in the fridge, just waiting to be made into something delicious. 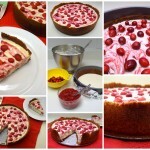 I had some leftover white chocolate chips sitting around too, so I tossed those in as well. 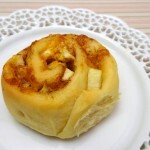 Add some cinnamon and nutmeg, and you’ve got a jolly good breakfast! Even though I’ve still got a mountain of work (finals, writing papers, grading papers, etc.) 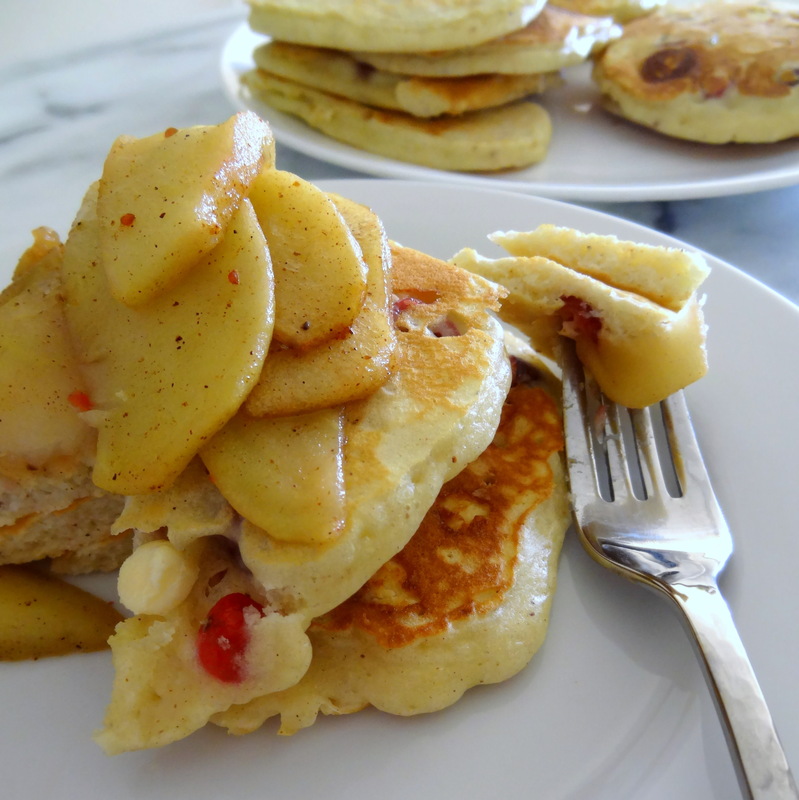 standing between me and going home for the holidays, the combination of these pancakes and my favorite Hampton Quartet Christmas album made for quite a festive and relaxing morning – a little preview of the vacation I’m so looking forward to! I hope my family members have their (pan)cake pants ready. 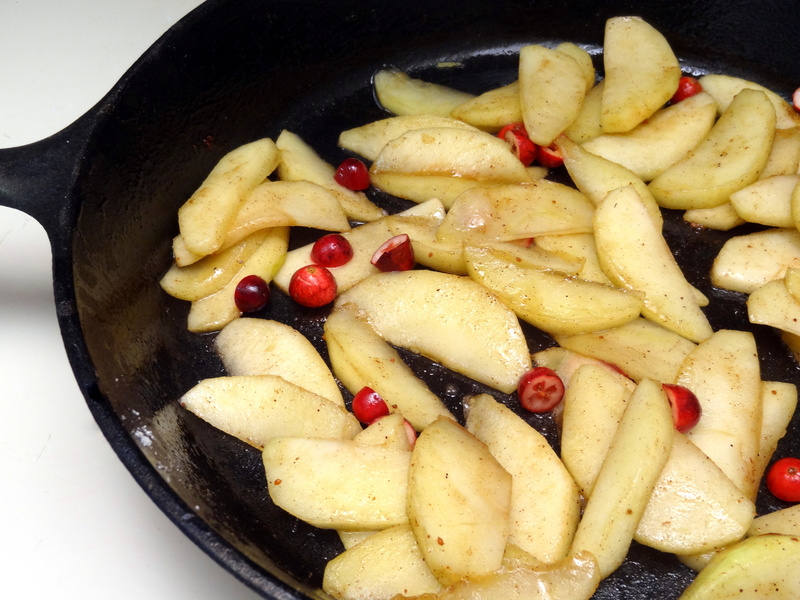 Sauté apples: in a cast-iron skillet, melt butter or margarine over medium-high heat. 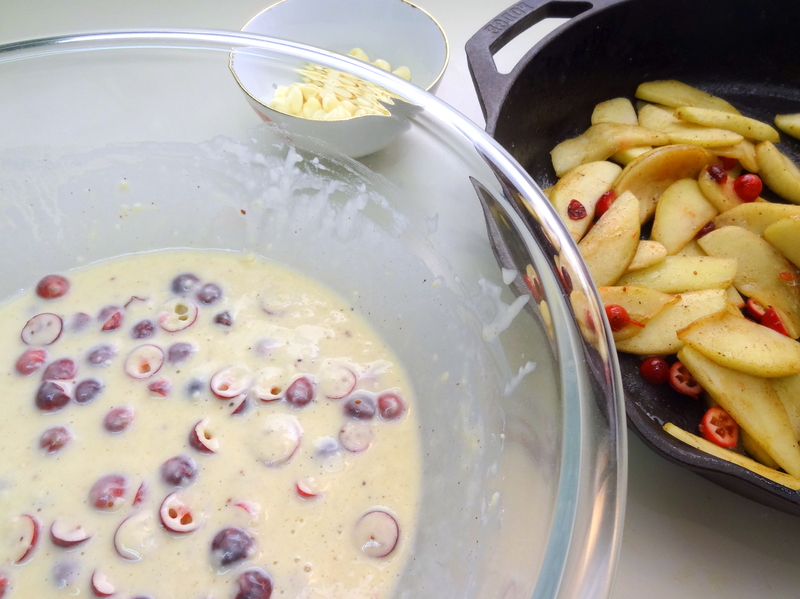 Add sliced apples and sauté until softened, about 5 minutes. 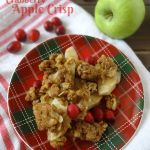 Stir in sugar, cinnamon, and cranberries and cook over medium heat until apples are easily pierced with a fork, about 5-10 minutes. Add a squirt of lemon juice and keep warm until serving. 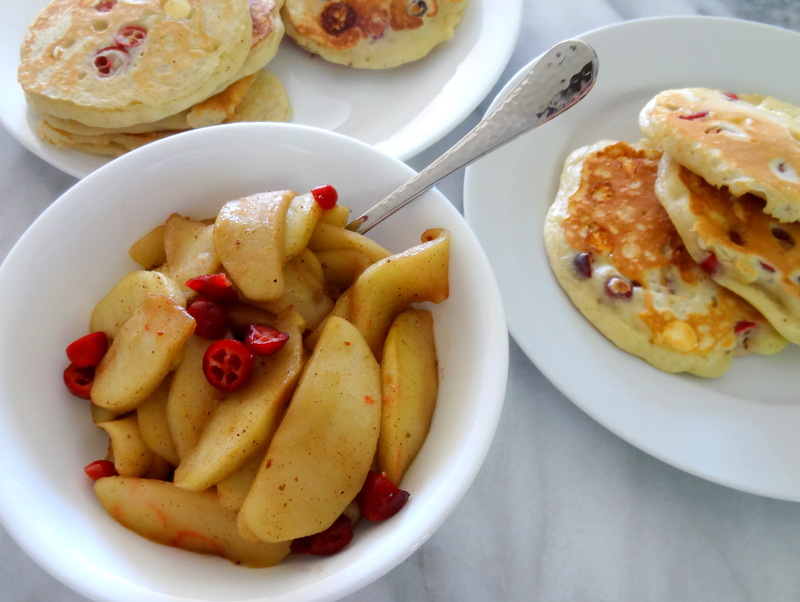 While apples are cooking, put one tablespoon lemon juice in a one-cup measuring cup and fill remainder with milk. Let sit 5 minutes. Using a whisk, beat egg in medium mixing bowl. 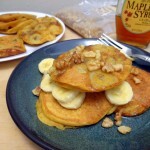 Add remaining pancake ingredients (except white chocolate chips) in order, whisking gently in between each ingredient. Spray a griddle or nonstick skillet with cooking spray. Heat on medium heat for several minutes, or until water dropped onto surface sizzles. Scoop pancake batter onto griddle, about 1/4 cup of batter per pancake. 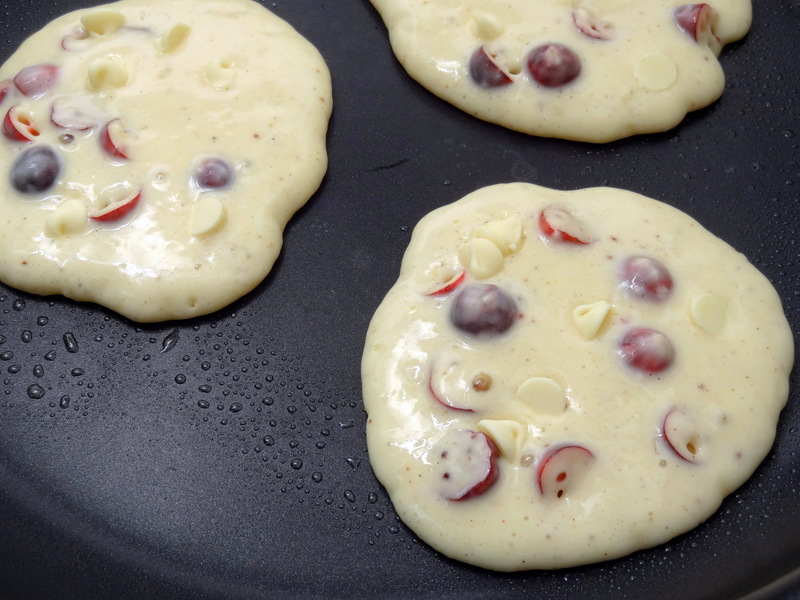 Drop several white chocolate chips on top of each pancake before flipping. When bubbles appear throughout each pancake, flip onto other side and cook. 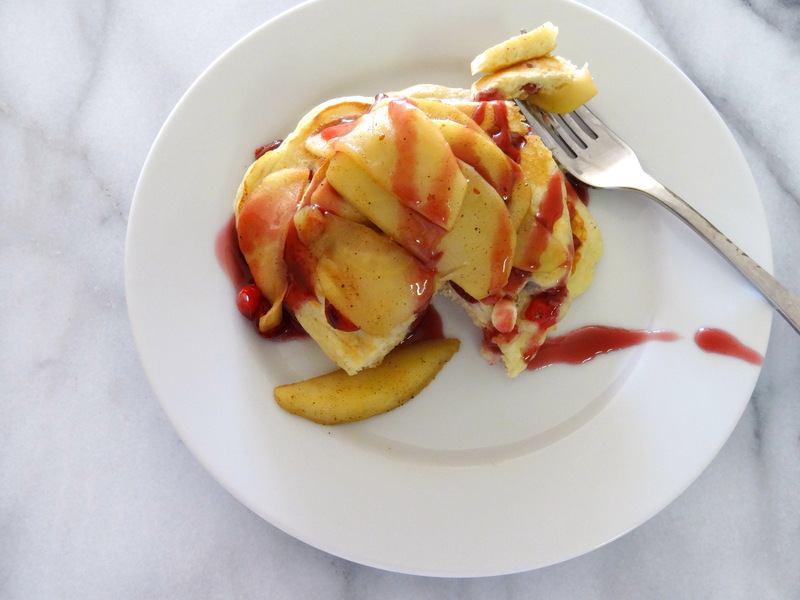 Top pancakes with apples and a drizzle of boysenberry syrup (if desired) and enjoy! Sautéed apples recipe adapted from Smitten Kitchen.